Construction is full of risks, especially to your bottom line. Clients involved in construction projects seek out the attorneys of McBrayer for effective advice and counsel. Serving clients in Kentucky and throughout the United States, we handle all facets of construction law on behalf of owners, developers, contractors, suppliers, engineers, architects and governmental entities. Our firm is equipped to handle every stage of a construction project, from procurement to development to dispute resolution. Our firm routinely handles construction law issues that arise on all types of projects — public and private, large and small. We know the participants, we know the trends and we know the construction business. Our depth of experience helps us prevent problems from arising, and it allows us to resolve those problems that become unavoidable. Procurement: We handle issues of site selection and acquisition, including financing, land use and zoning. We also prepare pre-qualification documents, bidding documents and other front-end materials necessary to begin a project. Contracts: Our broad experience in contract law coupled with our knowledge of emerging trends such as green construction gives our clients an advantage in negotiating agreements for design, supply and project management. After a contract is drafted, clients often keep us involved for advice on issues of performance and contractual compliance. Dispute resolution: Our firm views litigation as a last resort for resolving construction disputes, but it is sometimes unavoidable. We have experience pursuing and defending claims involving construction defects, design defects, bid protests, change orders, architectural errors, surety issues, payment bonds, insurance and much more. We have also successfully resolved disputes through mediation and arbitration, rather than traditional litigation. At McBrayer our construction law group works collaboratively with attorneys who focus on other areas to address issues that may arise. Whether the issue involves taxation, energy, regulatory compliance or any other matter, we have the resources and the skill to offer coordinated services for even the most complex needs. To discuss how our law firm can assist you in any area of construction law contact our law firm online. With offices in Lexington, Louisville, Greenup and Ashland, and a government relations office in Frankfort, we serve clients throughout Kentucky and the United States. The Court’s rulings regarding the enforceability of these statues will likely have far-reaching effects on how construction defect and design cases are litigated in Kentucky in the future. Clients involved in construction projects seek out the attorneys of McBrayer PLLC, for effective advice and counsel. 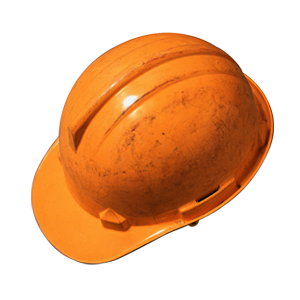 Serving clients in Kentucky and throughout the United States, we handle all facets of construction law. We work hard to meet the needs of owners, general contractors, and sub-contractors. Our firm is equipped to handle every stage of a construction project, from procurement to development to dispute resolution. We know the participants, we know the trends and we know the construction business. Our depth of experience helps us prevent problems from arising and it allows us to resolve those problems that become unavoidable.